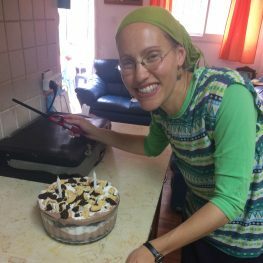 Shana now lives in Ramat Beit Shemesh but was born in Memphis Tenessee and made aliyah when she was 4 years old. She also spent 4 years in Houston Texas with her husband and children. After making Aliyah herself, Shana is able to use that experience to understand and appreciate how our students left so much to live in Israel. She loves the interaction with her students and says they share a lot of laughter in her class..